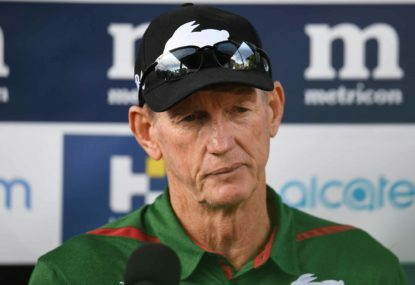 The South Sydney star had his fitness continuously questioned over the pre-season, prompting criticism over his weight and concerns over his form headed into the opening rounds. 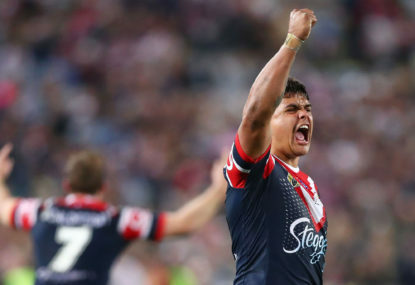 It also came as he made the decision to step away from the game at the end of 2020 in a bid to spend more time at home with his grandparents, as well as bowing out of the State of Origin arena in 2019. But while thumb and knee injuries have been his main issues of the past two years, he said he’d also been forced to deal with two other significant injuries since early last year. 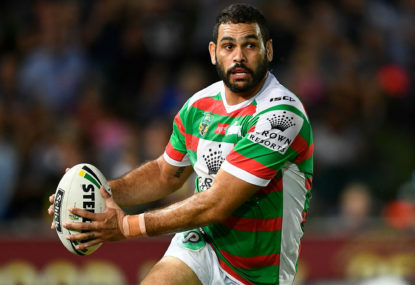 “I’ve been carrying a right shoulder injury that happened in Round 6 or 7 (last year),” Inglis told Fox Sports’ League Life..
“But before that even started, it was the Charity Shield on the bus ride up I had a bulging disc in my C6 and C7 in the neck. I had a chat with James Graham up there about it. “No-one knew about it … There’s a scar, but I just said I want to go out and do the best for my team. Inglis also said he was back to his usual playing weight, after finishing last season well under his normal size at around 98kg for the first time since his early days at Melbourne. But he admitted claims he was well overweight earlier this year had got to him after a summer in which he’d also battled off-field issues. “It does get you down after a few weeks of people saying I wish I was 15 kilos over weight and looked like you. I was getting that from every single person,” Inglis said. “But at the end of the day. I know what’s right for me and so does the coach and nutritionist. The Queensland captain also confirmed he would remain at right centre inside Dane Gagai for the foreseeable future at South Sydney, but that he hoped to revisit the discussion on moving back to fullback around Origin time.